The Middle Stump: Windies woes? Yesterday, we looked at the might of the West Indies back in the 70's and 80's when they were in their prime. Here, Liam looks at this year's tourists and finds them an extremely different proposition. So the West Indies have arrived in blighty. Well some of them! Visa problems meaning that they only had eleven fit players available for their opening tour match against Sussex. Sammy and what could be his saviour this summer - Rain! Nobody fears the West Indies anymore. Very few take them seriously. Two wins in their last thirty tests, one being against Bangladesh and the other in Guyana against Pakistan, on a bunsen in the first test before the tourists had time to settle in. The main concern is the inexperience of their batting line up. No Gayle. No Sarwan. The top order is held together with the barnacle that is Shiv Chanderpaul. Without the stubborn Guyanese left hander they are lacking in not only experience but class too. 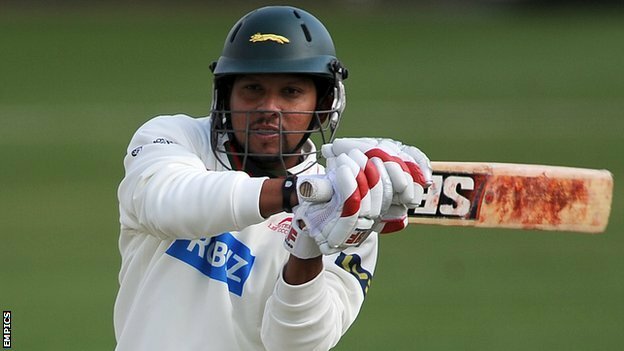 Gayle, Pollard, Bravo and Russell are all preferring the glitz and glamour of the IPL while Sarwan is looking very much a Division 2 batsman with Leicestershire. Otis Gibson is left having to pick from a poorly structured first class system. A young batting line up facing the number one side in the world, away from home in conditions alien to them with the ball swinging like a Max Moseley night out. The Windies have a bowling attack. A pretty good bowling attack. 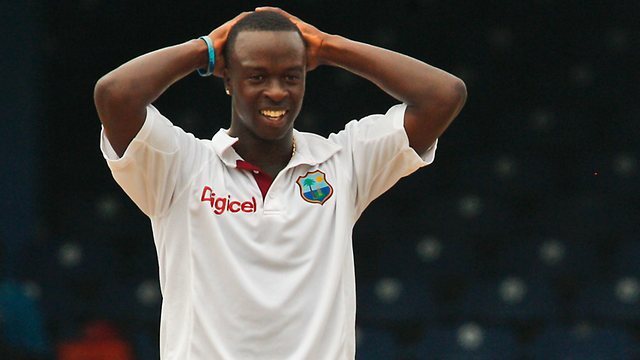 They may lack the pace and height of Ambrose and Walsh but in Kemar Roach they have raw pace. Roach - A familiar sight this summer? Roach is quick. Edwards is quick. Although he does spray it. With these two backed with skipper Sammy and the impressive spinner Shane Shillingford (what is it with 6ft plus spinners in the Caribbean?) they have got the ability to bowl teams out. Maybe not twice but they have something to worry Strauss & co.
"He (Sammy) has stopped them getting worse and he stops them getting better." Sammy has never been an international. A good captain however. Do you see Roach picking up many wickets? I think he will struggle. As for the top 5. Chanderpaul will have to bat for a day and a half to get something out of a game. An honest post. Well done. Young Bravo will get a big knock, I hope! Look looks like Liam called this! England A making our Caribbean friends look sub standard. Interestingly without Sammy... Good article gentlemen.